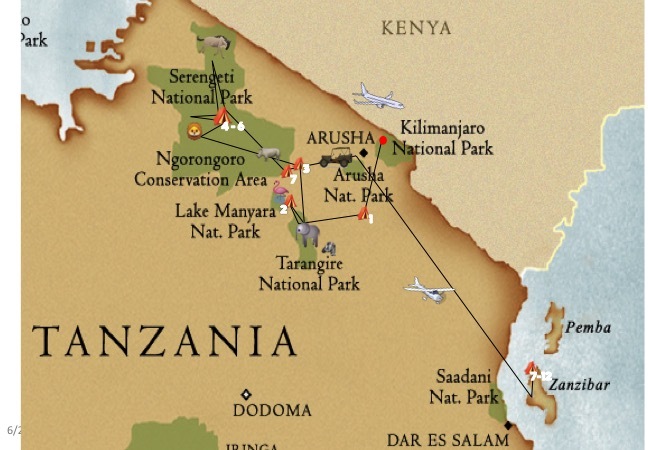 Before I start diving into the details of our safari, I wanted to share an overview of each location. There were parts of our trip where we were staying at a new lodge each night, sometimes driving for two hours to make it to the next location. We did this because each park had different animals that they were known for. See below for the map of our game drives and our lodge locations. Animals: Zebra, giraffes, a leopard in a tree, thompson gazelles & lots of elephants! Activity: Early morning departure for a game drive through Tarangire National Park. After lunch, we drove to Rhotia Valley Lodge to get settled before our 6pm visit at their childrens orphanage. Animals: A lot of Elephants up and close to the truck, zebra, giraffe & warthogs. Activity: Early morning departure. Drive via the Ngorongoro Crater rim to the Serengeti. Visited a Maasai Boma along the way. The drive to the Serengeti was about a 1.5 hour bumpy & dusty drive. Animals: Inside the Serengeti we saw ostrich, hyenas, zebras, birds, and our first male lion only 2km from our accommodation! Activity: Full day game drive around the Serengeti National Park, and then back to the camp for some wine by the campfire. This was also the night of the terrifying hyena/campsite situation! Animals: Lions lions and more lions! Oh and, zebra, thompson gazelles, hyenas, giraffes, elephants. Activity: Drive 2 hours out to catch the great migration in the north western part of the Serengeti. Animals: Wildebeest as far as the eyes can see! Zebras, cheetahs, hippos, giraffes, water buffalo & elephants. Activity: Early morning departure from the Serengeti for a game drive through the Ngorongoro Crater. The crater was the most magical place we had ever seen. 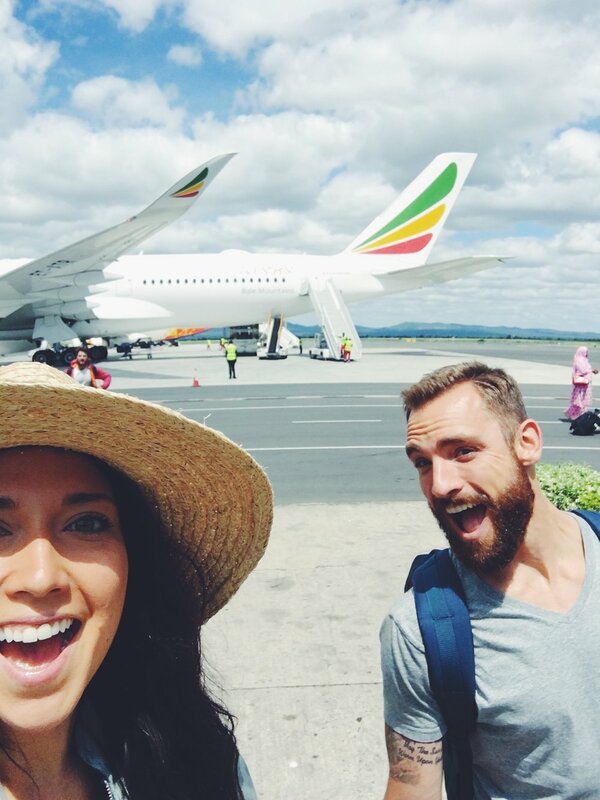 Morning drive to Arusha airport (2.5 hours) to fly on a very small plane to Zanzibar. Fly home to Germany. :( An easy 8 hour flight to Frankfurt, and then a short flight to Nuremberg. The next day we headed straight to a beerfest in our town, Nuremberg.